Floorplans are an essential part of any serious property presentation. And more and more people are accessing these presentations on mobile devices – property portals such as Rightmove and Zoopla in the UK state that over 30% of their traffic now comes from a phone or tablet. That means that floorplans need to be shown at their best in these mobile environments too. Floorplanner floorplans can be output as 2D and 3D high quality images - but also as interactive floorplans. These interactive floorplans can be easily embedded into any website, as easily as embedding a YouTube movie. The advantage of an interactive floorplan is that it engages home hunters far more in planning the rooms, seeing if it corresponds to their needs, driving up emotional attachment to a property which results in better leads. 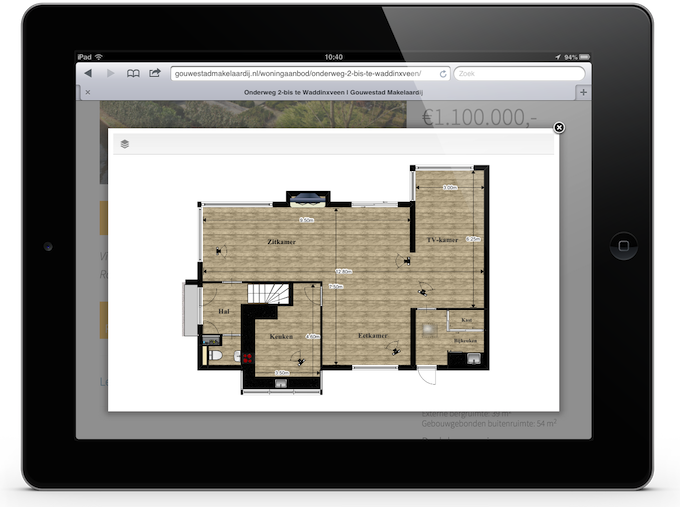 We’re really pleased to announce that interactive floorplans are now available on all mobile devices. We recently released an HTML5 version of the interactive floorplan viewer especially designed for phones and tablets. What’s even better is that you don't have to change anything. 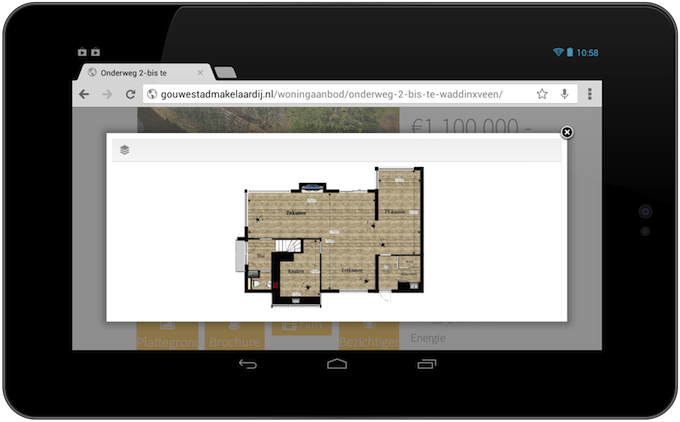 Whenever you load a floorplan on a mobile device, the new HTML5 version is automatically loaded. A house can have several floor levels and the floors can have different sizes. We have improved our mobile viewer to automatically display each floor to the same scale. This way, it's easier for a home hunter to understand the size of the floorplans and thus the house.